One of the 51 shakteepiths in India, Shri Naina Devi Temple is located at a hilltop in Bilaspur district of Himachal Pradesh. 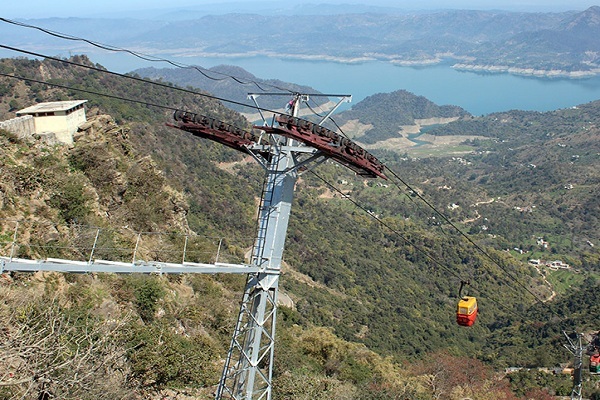 Its in the vicinity of Bhankra Nangal Dam and Gobind Sagar Lake. According to the legend, the goddess sati offered her body to the fire during yagna. On hearing this, lord Shiva became very angry. He held sati's body in his hands and started his Tandava dance. To stop his raging dance, which could potentially destroy the entire universe, lord Vishnu cut the body of sati in to 51 parts through his chakra. The eyes of devi fallen on this hilltop and, therefore the name Naina Devi was given to the deity. 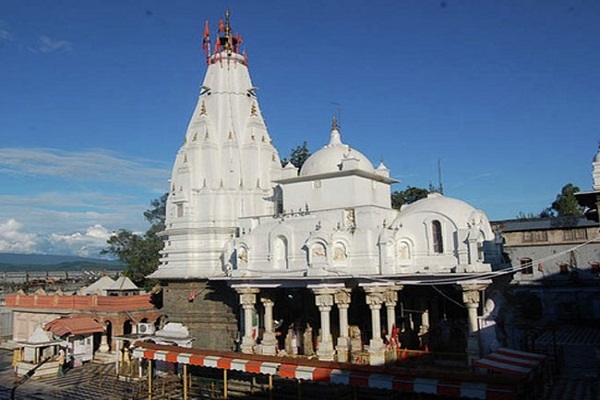 This temple is one of the 4 renowned devi temples in Himachal Pradesh. 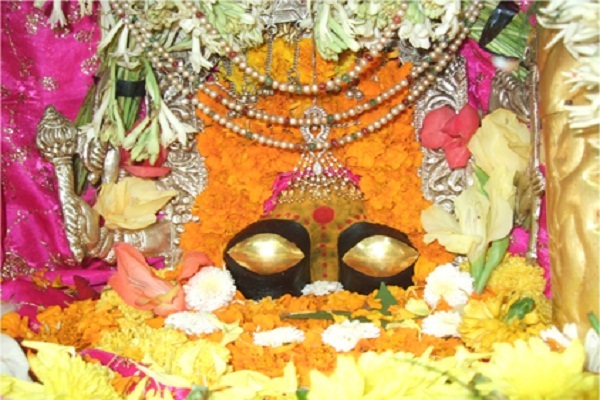 The other three are Jwala Devi, Bajreshvari Devi and Chamunda Devi. 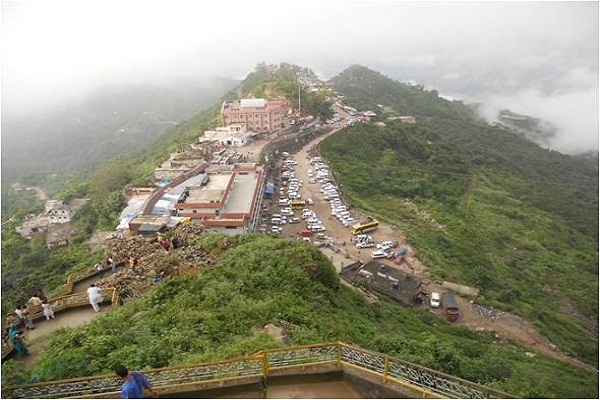 Located at a height of 1177m from sea level, Naina Devi temple celebrates Chaitra & Ashwin Navratri every year and large no. of devotees gather here to get the blessings of the goddess. Darshan Timings: In normal days, the temple opens for darshan at 5am daily and closes at 10pm. During festivals, the timing is extended. The temple is located at Highway no. 21 and is 100km from Chandigarh. One can easily take a bus or a taxi from Chandigarh to reach Naina Devi. However, to reach the temple on hilltop there are two options available. Devotees can either choose to drive up the hills and then climb the stairs, or they can take the roapway to reach the temple directly.